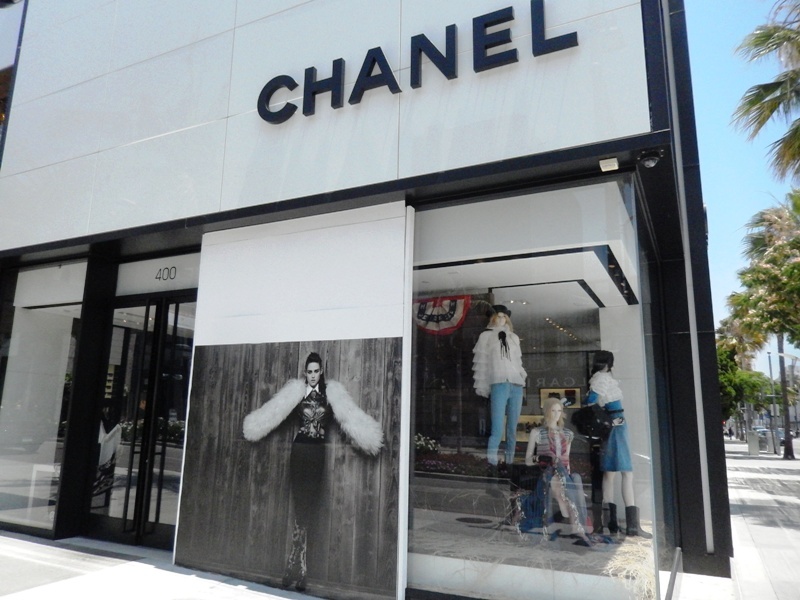 While visitng LA for The Rover movie premiere I wanted to visit Rodeo Drive and see the displays at Chanel of Kristen. She has done a photo shoot for them recently and the photos were on display at their Los Angeles store. They had one large display of her that was visible from Rodeo Drive. Upon entering the store I found another of her facing the back of their store. Unfortunately, they did not allow photography inside their store. They were also displaying the rest of the collection on their models in their windows and in the store. We wandered upstairs came across some of their specialty items. We did recognize on or two pieces that I have seen Kristen model or wear. The one thing that is no where in their stores is the Graffiti backpack that she picked up this spring in Paris.